Marshmallows burn nicely, but not on their own...until now. For safety reasons, perhaps they should only ignite against the strike patch on the outside of the packaging. [21 Quest], with respect, there are just some ideas you really ought to stay away from. A mathematician once said, "Don't eat C4 and then get struck by lightning." I'll buy some and I don't even like marshmallows. // Why? Because of who posted it? // No, because some things tend to fly right over your head. To be fair to , I'd quite like to know how it works too. //I'd quite like to know how it works too// I suppose they'd just have a thick coating of Armstrong's Mixture (wikipedia tells me this is a mixture of red phosphorus and potassium chlorate, with a little sulfur and calcium carbonate) - just like a match-head, to promote combustion on "striking". [tatterdemalion] makes a good point about perhaps developing towards a "safety marshmallow" that would only ignite when struck against a specific surface. Would that be edible? I know it says //probably not for eating//, but then, what's the point? The point is, it's a big bag of highly volatile (potentially explosive) marshmallows. Marshmallows coated in the same substance as strike anywhere matches. Probably on a stick. How hard was that to work out? A little stick or crystal of rock candy (crystalized sugar) sticking out one end, with the ignitable mixture on the tip. Once the marshmallow is lit and has burned down a bit, this stick would be easy to break off, and enjoy your nice self toasting marshmallow. It could be edible. Potassium or sodium nitrate is edible, as is sugar, and the two together would make a quite nice slow powder. Great, now I can't carry marshmallows aboard flights. // clade of halfbakers // Is that the proper collective, or is that a taxonomic reference? [theleopard] - Be fair to  ? I, for one, welcomed our new fair overlords, but in the end your patience will wear thin, and you'll join the balance of us in trying to find subtle ways to compel him to google unsavory subjects. I thought the "strike anywhere" reference was self-explanatory, and figured anybody who'd grown up with matches would be satisfied. You're asking someone called [phoenix] for an explanation of how to make something burn? The first time I've encountered the phrase "strike anywhere" was right here, right now. Perhaps it's a USAian thing, [Ian]. Yes ...... ooooh YES ! Given how much fun it was to turn strike anywhere matches into projectiles, playing with these marshmallows would be a blast. Self-propelled smores without a campfire. mmm. could we combine this with the jello-shot trebuchet I saw the other day? So a marshmallow that works like a swan match, I understood that from the start. There's no joke? No hidden meaning? No language barrier? I'm a litle disapointed. Linky for those s'more virgins. that s'more thing looks awfuk tricky to eat! Goodness me, do I LOVE s'mores! Plus if it's a thin coating that burns off easily, you could work it. 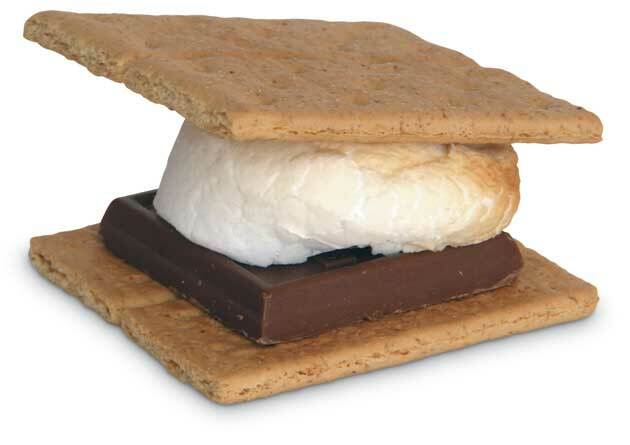 Even if it burns the skin of the marshmallow, you just shuck the black part and eat it in it's melty, uncontained glory. Try delicious Willy Pete Strike-Anywhere Marshmallows today! Eh? Your statement got increasively uncomprehensible. Honestly, [zen_tom], you say that like it's a bad thing. If you'll excuse me, I'll be in the parking lot with [bigsleep], a quart of Tullamore Dew and a lighter. A whole new variety of molotov cocktails comes to the imagination.